Raksmey Castleman, Ph.D., is administrator of Telecare Early Intervention and Recovery Services and Jeremy House Crisis Residential Services, both in San Joaquin County. Born and raised in a refugee camp in Thailand for survivors of the Cambodian genocide, she is passionate about serving the Southeast Asian community, where trauma and PTSD are common experiences, but engagement in mental health services is low. Raksmey's experiences have inspired a life -- and career -- of passionate service, and incredible impact. Telecare is honored to have Raksmey as part of our diverse team of dedicated, creative, compassionate, and effective staff and leaders. As mental health service providers, we can get lost in the jungle trying to navigate complex systems and symptoms to deliver care to our most vulnerable populations. Sometimes it’s hard to harness motivation to keep pace while at the same time maintaining a semblance of self-care, but Raksmey Castleman, Administrator of or Telecare’s Jeremy House and TEIR in Stockton, California has some advice: "We don't stop. If we hit a roadblock we will make a detour, and we will create a path to where we find whatever we can, any resources, to make sure that individuals that we serve are able to meet their needs, if they're willing." For nine years, the jungle was Raksmey's reality. In the 1970s, Raksmey was born and raised in the Sok San Tai camp in Thailand along with 60,000 survivors of the Cambodian genocide. Raksmey’s father was the camp doctor and worked with the United Nations High Commissioner for Refugees (UNCHR) and the International Red Cross to advocate for health care services and support for refugees. Her mother was a midwife and a teacher. "I remember going along with my dad from one hut to the next to provide treatment or to assess the villagers. That was a part of my life. I really liked being part of the community and learning from my father at a young age of the importance of making sure that peoples' needs were taken care of," she said. "As for my mom, I saw her always giving back." As Raksmey got older, she became captivated by the stories of her fellow Cambodian and Southeast Asian villagers. Many would tell her about the war and how they lived in a constant state of fear. Some had trouble sleeping. Others had nightmares. The more she listened, the more she wanted to better understand why the people she loved were experiencing such distress. "For my family, at first, nobody wanted to go get help because they didn't know what to say. They were afraid…ashamed that they were feeling the way that they were feeling. Providers and prescribers kept on telling us, ‘stress is a normal part of life, go outside, go shopping,' but they didn’t understand the historical context or the implications of how history can impact a community. For many Southeast Asian communities and especially the Cambodian communities, there are no words to describe PTSD." Raksmey moved to Stockton at the age of nine after her grandparents sponsored her family's entry into the United States. Her early college career was nursing, but after one year into the nursing program she re-directed her path to cultural anthropology and public health. After working with diverse communities for many years and witnessing the health disparities among individuals with mental illness, she strengthened her advocacy to address the stigma surrounding mental health and access to mental health services, especially among Southeast Asian Communities. She eventually went back to graduate school and earlier this year graduated with a Ph.D. in public health with a focus on community health education, and disease prevention. "Mental health found me, and I’m so grateful. I realized that if we don't start to integrate our mental health with our overall health, the whole dimensions of health, we're not going to be healthy," said Raksmey. As a big advocate of Telecare’s Recovery-Centered Clinical System (RCCS) and the Whole Person Care, Raksmey uses those approaches and her unparalleled resilience to deliver services to Transition Aged Youth at TEIR and crisis residential services at Jeremy House. "With the knowledge in community education and disease prevention and, thank goodness, with the Whole Person Care, I'm able to understand where people are coming from. I don't look at a person for their symptoms. I usually ask people, ‘How can I support you? How are you doing medically? How are you doing physically? How are you doing mentally?' We have to be able to see a person as a whole, using a holistic approach, to fully serve them and meet them where they are." The city of Stockton has the fifth-largest population of Cambodians in the nation and the second-largest in California. To create a space for healing, three years ago, Raksmey, her husband, and community leaders, started the Peace and Light Festival as a way for the community to honor their ancestors and come together for a moment of healing. Beyond Stockton, Raksmey has her sights set out on informing communities across the United States of the impact of PTSD and trauma. She recently came back from a Overseas Khmer Summit 2018 in Minnesota where she presented her dissertation and discussed the issue of PTSD in the Cambodian community. After posting the presentation on her Facebook page, a Cambodian professor contacted her and requested she does a virtual presentation for his class at the University of Phenom Phen. “He said, ‘I don’t think people are aware, or people are afraid to talk about it.’ And he’s right. After the summit, a person came up to me and said, ‘Thank you for bringing this up, I am done hiding, I am done suffering silently alone, I want help, we all need help, and we need to come together as a community to explore this topic even more." As you can probably tell, Raksmey rarely stops moving (but regularly meditates). 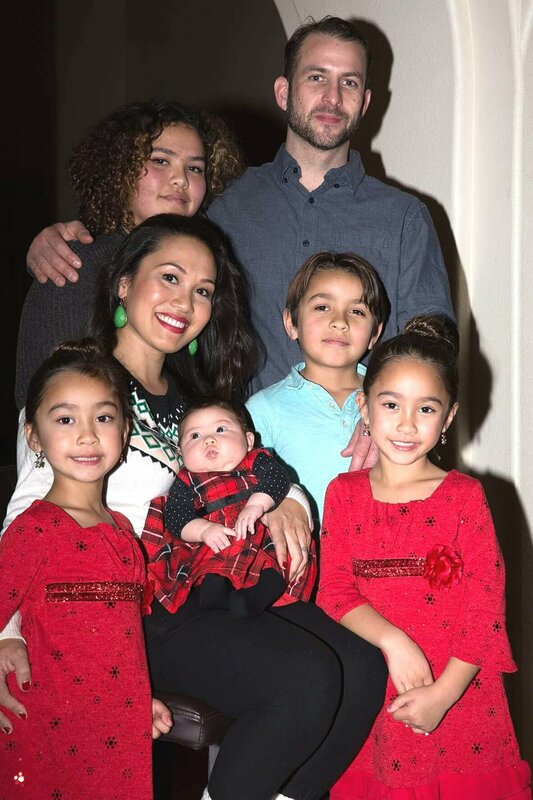 In addition to being an administrator at two Telecare programs, she is a mother of five, a wife, a yoga instructor, a kickboxing enthusiast, and much more. "I don’t know what it is, I'm just so grateful for life. I always say I am literally from the jungle. Not the concrete jungle, I mean the actual jungle. I am like Tarzan’s sister, you know?" said Raksmey. In mental health, her life experience translates to joy in helping people connect and engage in services that inspire hope when all feelings are lost. "We encourage, we educate and we help people explore ways to allow for them to find their own journey to health and recovery," said Raksmey. "Our own individualized recovery journey is a journey that only the person who is going through it can understand. It doesn't matter how old we are, where we're from or what color we are. Regardless of whichever mental health challenges we have, each one of us deserves to feel appreciated, accepted, respected, and cared for."